Who doesn’t love a sleepover! Tepee Parties are growing increasingly popular and we have provided some lovely balloons for these events (see pics). The best thing about hosting your very own sleepover party for your little ones and their mates is that you can pull off pretty much the best sleepover set up ever without spending too much. Forget hiring a venue. Stay home and have the ultimate sleepover yourself! Creating your own tepee party is easily done. 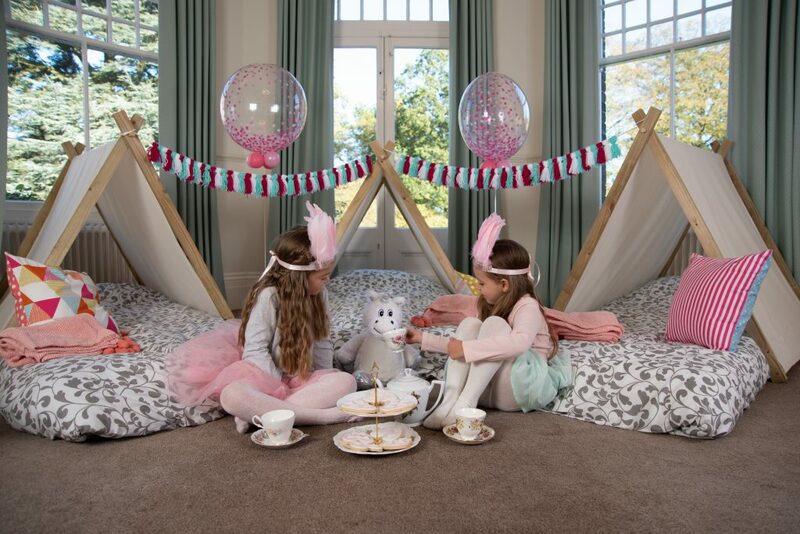 Below we have listed our top 5 ideas for hosting the perfect tepee party. Pizza, Hot dogs or burgers are an easy option. For breakfast whip up some pancakes with a topping station with chocolate chips, fruit, and whip cream for something fun. For snacks, a sundae station may be fun. If you plan to watch movies do popcorn. Kids also always love baked cookies and sweeties! Ask us about our sweetie cart and sweetie cones! Glitter balloons, different coloured balloons, personalised balloons, you name it, we’ve got it. 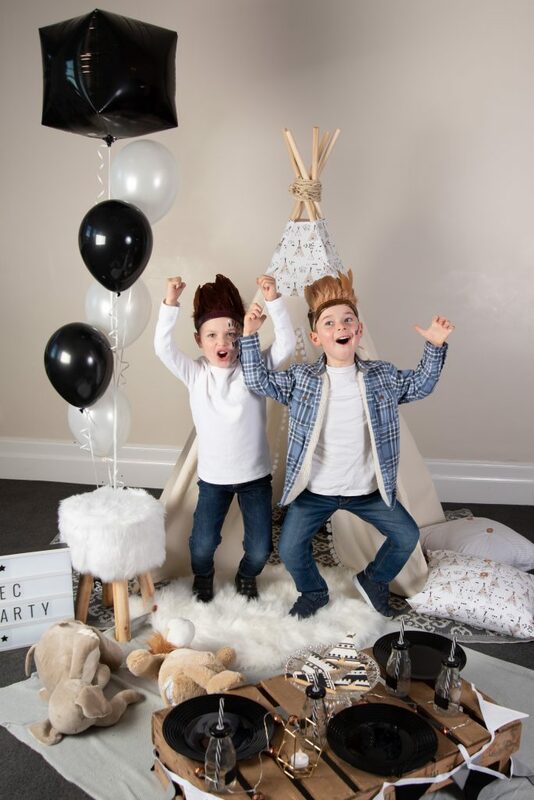 They create the perfect fun atmosphere for a Tepee party. It’s easy to make a cosy and comfortable sleeping space for your excited party guests. Make your own or hire Tepees! You can create a great atmosphere just using lights, so black out the windows with newspaper or towels and string up some fairy lights or dot the room with different coloured lamps. Arrange individual sleeping spaces in a big circle on the floor so that when it’s time to bunker down for the night, everyone feels included. The more bean bags, cushions and blankets, the better! For a real treat why not buy the kids matching pyjamas. They’ll love twinning together and it will be a lovely treat that they’ll remember forever!